Don't let those big blue eyes fool you, Snowball is one bunny who is on a mission: take revenge on all happy-owned pets and their owners! Snowball is a cute critter that should not be messed with. Even though his soft white fur looks perfect for petting, this carrot-munching psychopath can take down pets and humans alike. Yup, even Animal Control has suffered at the hands, we mean paws, of Snowball and his gang of unruly discarded pets. 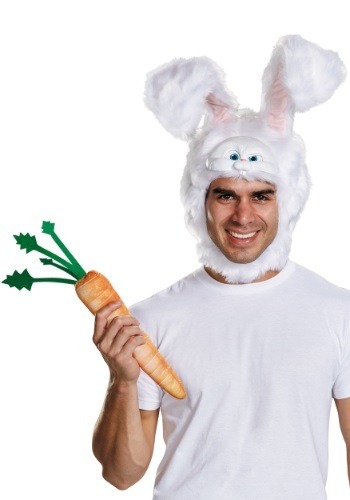 The fluffy rabbit and his army of Flushed Pets will go to great lengths to seek their revenge while trying to stay undomesticated! If you sympathize with Snowball's plight and you also get sick at the sight of pet owners and their jolly pets, then Snowball is truly your spirit animal! This Snowball kit will transform you into the evil bushy-tailed villain from the Secret Life of Pets. 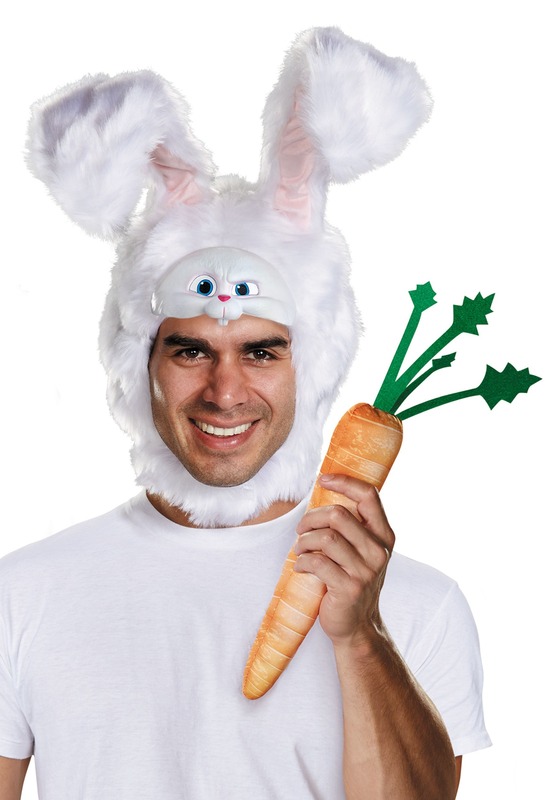 Just fasten the plush headpiece under your chin and grab the carrot prop and you'll be ready to burrow your way into some mischief. Remember, domestication is not an option!